A construction worker video has gone viral on Youtube and social media and is soon to become next internet sensation among the media. 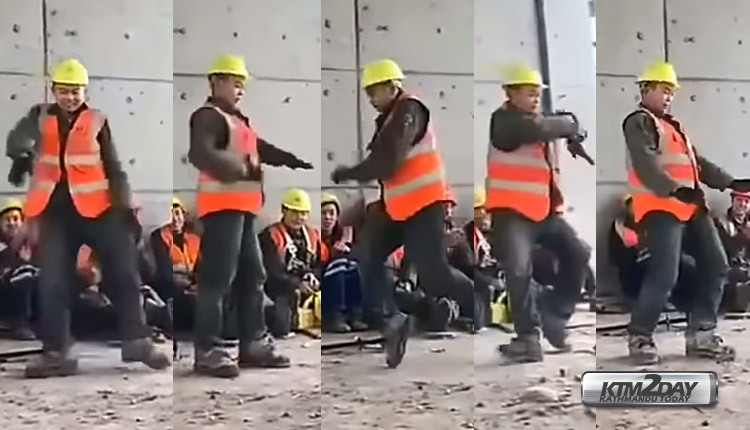 A video uploaded in Youtube shows a chinese worker dance to the moves of Michael Jackson in a construction site filled with dust and rubbles. The worker comes forward as the music begins and shows his exceptional talent to his mates all resting on the floor after a day’s work. The video was uploaded 5 days ago and soon went viral in Youtube and social networks with netizens praising the workers dance moves and even comparing him to Michael Jackson. The video lasts for only 49 seconds but in it you can appreciate the agility and skill of the man which can be seen in the fluidity of his dance moves.